Aside from slightly elevated ground clearance, Highlander doesn’t really do anything better than an AWD minivan would, sacrificing in the bargain such agreeable features as space-efficient sliding side doors and seven-passenger seating. That said, for most shoppers the Highlander is a far smarter choice than a truck-based SUV. Its all-around competence, pricing, and Toyota design make it more than a match for midsize SUVs of any stripe. New or used, it’s an easy Best Buy. 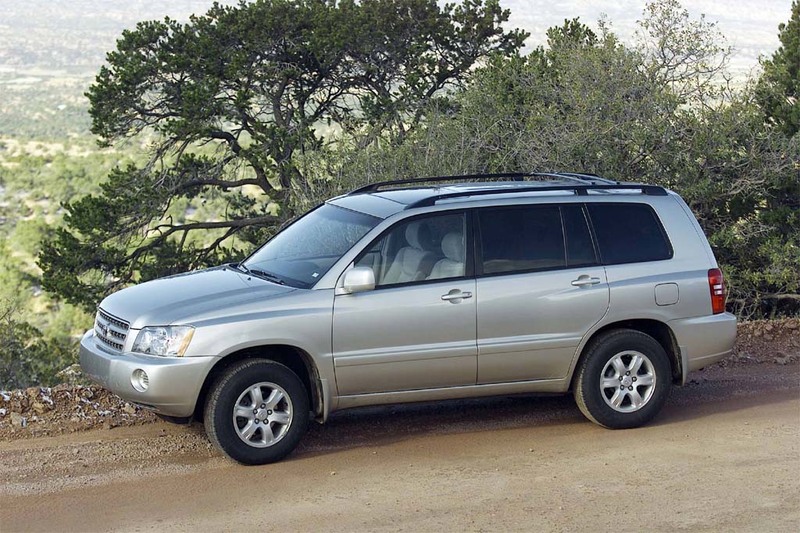 Adding a fourth sport-utility vehicle to the Toyota line, the new midsize 2001 Highlander was an under-the-skin sibling to the popular car-based Lexus RX 300. Both were built on the Toyota Camry/Lexus ES 300 sedan platform. Highlanders, however, displayed more traditional wagon styling than the RX and strode a 4 inch longer wheelbase, with most of the increase going to extra cargo room. Toyota saw the Highlander as a midsize SUV for buyers interested more in on the-road comfort, refinement, and performance than in offroad ability and a truck-tough image. The unibodied Highlander was slightly longer than Toyota’s body-on-frame 4Runner, but stood about half an inch lower and 5 inches wider. Two models were available: a price-leader four cylinder, and an upscale V6. The vast majority of sales were expected to be the better-equipped V6 version, which held Toyota’s familiar 3.0-liter engine. The sole transmission was a four speed automatic. Like the RX, both Highlanders came with either front-wheel drive or all-wheel drive, which lacked low-range gearing. Toyota expected the V6 AWD to be the best-selling individual model. Highlanders initially came in a single trim level, but with an upscale Limited package available. Standard equipment included air conditioning, a cassette/CD player, cruise control, and a tilt steering wheel. Limiteds added automatic climate control, an eight-way power driver’s seat, 16-inch alloy wheels, and a full-size spare tire. 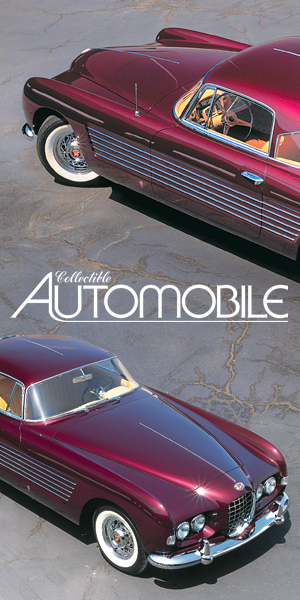 Antilock four-wheel disc brakes and 16-inch wheels were standard. An antiskid system and front side airbags were optional. Other options included a moonroof and (in V6 models) heated front seats and leather upholstery. Seating five passengers, Highlanders went on sale during the first quarter of 2001. Competitors included the Acura MDX, Lexus RX 300, Mercedes-Benz M Class, Ford Explorer, and GMC Envoy. 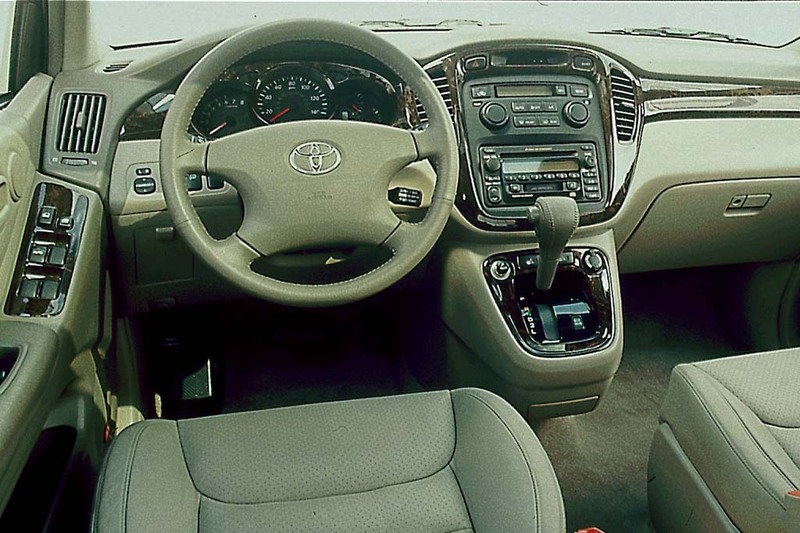 For 2002, Highlanders gained a standard rear-seat armrest, cabin air filtration, and a redesigned center console. Base and Limited models were offered. A full-size spare tire was now standard, replacing the compact “space-saver” tire. Highlanders faced new competition from Honda’s Pilot. Toyota added more power, an available 3-row seat, and optional curtain airbags to its midsize crossover SUV. A new 3.3-liter V6 with 230 horsepower replaced the old 3.0-liter unit. It mates to a 5-speed automatic. The optional 3rd-row seat ups passenger capacity to seven and folds flush into the floor. The optional curtain airbags protect only the front- and second-row passengers. Midyear introduction of a gas/electric hybrid version highlights 2005 for this midsize SUV. The Hybrid combines the gas V6 and battery-powered electric motors for a total of 268 hp. It uses a continuously variable automatic transmission (CVT) and offers 2WD or AWD. Standard on Hybrids and optional on other models are head-protecting curtain side airbags covering the 1st and 2nd seating rows; front torso side airbags are included. Midyear addition of a Sport model highlights 2006 for this car-type SUV. Sport models use the 3.3-liter V6 and get a sport suspension. Side airbags and curtain side airbags are standard instead of optional for 2007 on all versions of this midsize car-type SUV. Previously standard only on Hybrids, all Highlanders now have front side airbags and curtain side airbags that cover the first two seating rows and include rollover deployment. 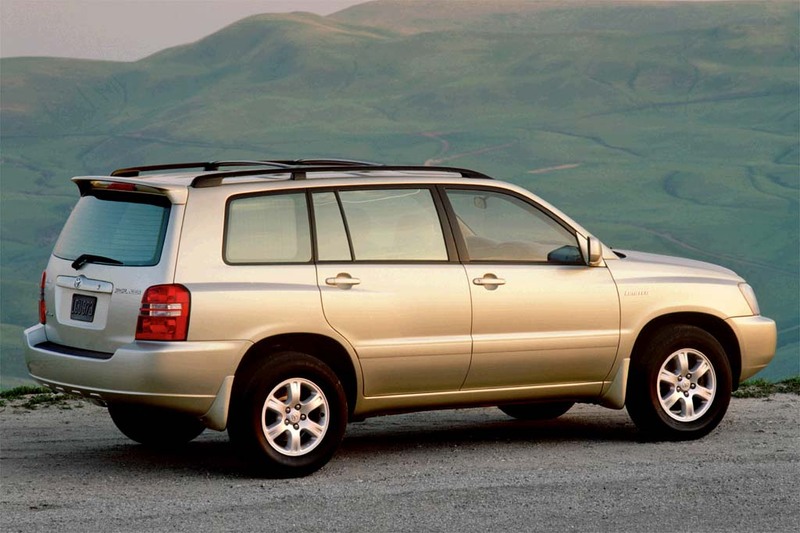 Highlander’s 2.4-liter four-cylinder engine produced 155 horsepower, while the 3.0 liter V6 generated 220 hp. Both engines mated to a four-speed automatic transmission. Highlanders could have either front-drive or all-wheel drive. Replacing the 3.0-liter V6 in 2004 was a larger 3.3-liter V6. 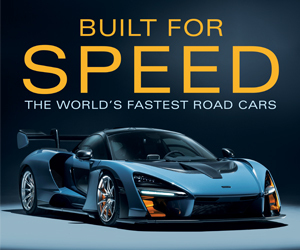 It had 230 horsepower and mated to a 5-speed automatic. The Hybrid introduced in 2005 combines the gas V6 and battery-powered electric motors for a total of 268 hp. It uses a continuously variable automatic transmission (CVT) and offers 2WD or AWD. EPA ratings with 2WD are 19/23 mpg for the V6 engine and 22/27 mpg for the 2.4-liter four-cylinder. Hybrid: Combined gas-electric output is 268 hp. 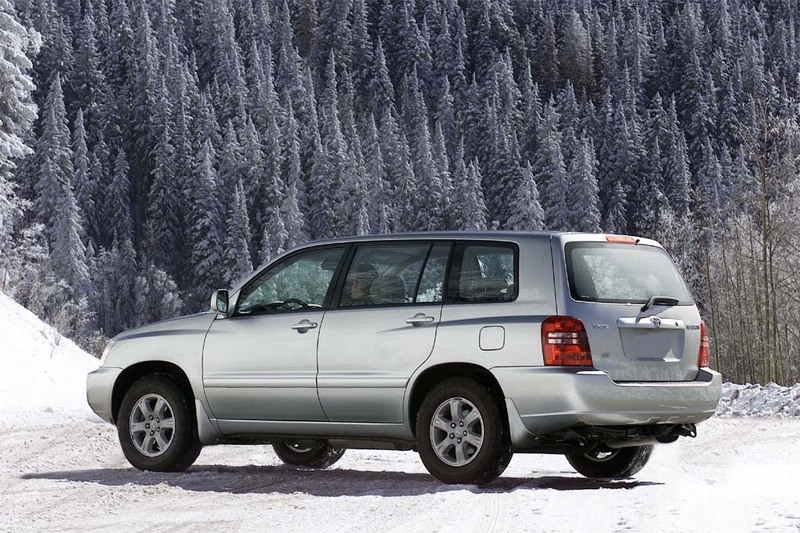 Capable all-around, the Highlander benefits from Toyota-style reliability. An AWD Highlander with the 3.0-liter V6 accelerated to 60 mph in a pleasing 8.5 seconds. Models with the larger 3.3-liter V6 did even better getting to 60 mph in just 8.1 seconds. Still, a fully loaded Highlander feels a bit lazy off the line and also in midrange passing, despite smooth, responsive automatic transmission. Surprisingly, the 4-cylinder doesn’t feel underpowered, but does lack midrange passing power. With the 3.0-liter V6 and AWD, Highlanders averaged 16.4 mpg in mostly city driving, and 17.6 mpg including performance testing. In a mix of urban/suburban commuting, fuel economy rose to 19 mpg. Economy with the 3.3-liter V6 slumped to just 15.1 mpg. Toyota recommends premium fuel for the V6 and regular grade for the four cylinder. Engine noise is seldom intrusive. Wind noise rises sharply with speed, and coarse pavement tire drone causes rear-seat riders to raise their voices. A firmer suspension than in the RX 300 lets most every bump register, but the Highlander’s ride is not jarring, always composed, and shuns the side-to-side wiggling motion that afflicts some SUVs. Pleasant-handling Highlanders are maneuverable and stable. The body leans in turns, but overall control is among the best of any midsize SUV. Helping is steering with fine road feel, despite being slightly overassisted. Standard ABS with Brake Assist furnishes acceptable performance, but pedal action is mushy, and nosedive is evident in hard stops. The optional antiskid system provides appropriate corrections in slippery corners. AWD is not as capable off-road or in deep snow as traditional 4WD might be. Main gauges are set deeper in “coves” than ideal for readability. They’re still legible, though painted surrounds reflect sunlight. The gearshift sprouts from the dashboard, as in the RX 300; it’s inviting to use, but can get knocked into Neutral by a driver’s hand returning from cupholder to steering wheel. Cupholders are too large to secure a soda can. Controls are positioned conveniently and move smoothly, though audio and climate system graphics aren’t always obvious. The cabin is solidly assembled from durable materials, but ambiance is middle-market austere even with leather. Front space is generous in all dimensions, though the moonroof housing eats into head room. Seats are nicely supportive, but unexpectedly firm. The driver gets an elevated view of the road, over a long dashtop that’s more minivanlike than SUV-style. Entry/exit requires slight extra effort, due to SUV-like ground clearance. Second-row head, shoulder, and knee clearance are spacious, but tight toe space tarnishes the advantages of a virtually flat floor. The second-row seat is too firm. The optional 3rd-row seat is only fit for kids. Absence of a third-row seat creates a tall, wide cargo hold. Split 60/40, the rear seat moves down and forward to form a nearly flat load floor. With headrests removed, front seatbacks fold rearward for sleeper-ready versatility. With the 3rd-row seat, storage space is skimpy, somewhat better with it folded. Storage bins are plentiful. Description: Brake master-cylinder cap may induce a vacuum, introducing air into the master- cylinder reservoir. This could cause abnormal brake noise and increased pedal stroke, resulting in longer stopping distances. Dealers will bleed the air from the brake lines and replace the reservoir-filler cap. Description: In a crash, fuel-breather hose at top of the fuel tank might contact the underside of the body, causing the nozzle to break. Possibly resulting in fuel leakage if the vehicle rolls over after a high-speed frontal crash. Dealers will rotate the specified clamp. Description: When rear door is closed very hard with child protection lock lever set to “lock” position, lever may contact body panel, causing lever to move into “unlock” position, which could allow door to be opened from the inside. Description: Spare tire may require the use of a different style of wheel nut to attach it to the vehicle, and using the wrong lug nuts could lead to a loose wheel. Owners will be provided with different style lug nuts, a warning label for the spare re/alloy wheel, and an owner’s-manual addendum. Description: If replacement brake fluid is used that does not contain certain polymers, or that contains only small amounts, a part of the rubber seal located at the rear of the brake master cylinder may become dry and a small amount of brake fluid could slowly leak from the seal into the brake booster. A leak of brake fluid could lead to a change in brake pedal feel and overtime, degradation in braking performance, increasing the risk of a crash. Dealers will replace the seal with a newly designed one. This service will be performed free of charge. Description: If the forward retention clip used to secure the floor carpet cover, which is located in front of the center console, is not installed properly the cover may lean toward the accelerator pedal and interfere with the accelerator pedal arm. If this occurs, the accelerator pedal may temporarily become stuck in a partially depressed position rather than return to the idle position. A stuck accelerator pedal may result in unintended and sustained vehicle speeds and make it difficult to stop, increasing the risk of a vehicle crash. Dealers will replace the floor carpet cover with a newly designed one free or charge. Description: Inadequate adhesive between outer and inner ring in the crankshaft pulley could lead misalignment, causing noise, illumination of the battery discharge indicator light, and/or loss of power steering. 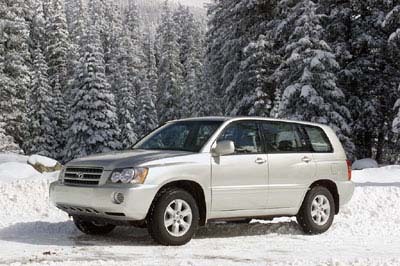 2006-2007 Highlander Hybrid passenger cars manufactured from February 16, 2005, through August 30, 2006. Description: A module inside the inverter module may contain inadequately soldered transistors that during high-load driving, may be damaged by heat caused by the large current. If this occurs, various warning lamps, including the malfunction indicator lamp, slip indicator light, brake system warning light, and master warning light, will be illuminated on the instrument panel. The vehicle may enter a fail-safe/limp-home mode that limits the drivability of the vehicle. It is possible that the hybrid system will shut down while the vehicle is being driven, causing the vehicle to stall unexpectedly, increasing the risk of a crash. Toyota dealers will inspect the hybrid inverter production number to determine whether the inverter contains suspect transistors and replace the module free of charge. Description: Power window master switch assemblies may malfunction and overheat due to irregularities in the lubrication process during assembly. Option Note: Post production options also available. 8-way power driver seat, illuminated visor mirrors, universal garage door opener. 4-cylinder requires Quick Order Pkg. V6 requires Convenience Pkg. Remote keyless entry, cargo cover, rear privacy glass. Automatic climate control, leather-wrapped steering wheel, remote keyless entry, heated power mirrors, windshield wiper deicer, 8-way power driver seat, illuminated visor mirrors, universal garage door opener, chrome/wood-grain interior accents, cargo cover, automatic headlights, theft-deterrent system, rear privacy glass, fog lights, daytime running lights, roof rack, rear spoiler, mud guards, alloy wheels. Requires JBL radio. Remote keyless entry, cargo cover. Rear privacy glass, mud guards, alloy wheels. Includes traction control. NA w/limited-slip differential. Leather upholstery. Requires Limited Pkg. Requires Limited Pkg., Leather Pkg. 4-cylinder requires alloy wheels. V6 requires Limited Pkg. 8-way power driver seat, illuminated visor mirrors, universal garage door opener, theft-deterrent system w/alarm. 4-cylinder requires Quick Order Pkg. V6 requires Convenience Pkg. Floormats, cargo mat, cargo net, glass breakage sensor, first aid kit, wheel locks. 4-cylinder, V6 require alloy wheels. Floormats, cargo mat, cargo net, first aid kit. 8-way power driver seat, illuminated visor mirrors, universal garage-door opener. 4-cylinder requires Quick Order Pkg. V6 requires Convenience Pkg. Leather upholstery, 8-way power driver seat, leather-wrapped steering wheel w/radio controls, universal garage-door opener, illuminated visor mirrors, theft-deterrent system. Base 4 cylinder requires Quick Order Pkg., optional radio. Base V6 requires Convenience Pkg., optional radio. 8-way power driver seat, universal garage-door opener, illuminated visor mirrors, theft-deterrent system. Base 4 cylinder requires Quick Order Pkg. Base V6 requires Convenience Pkg. Remote keyless entry, cargo cover, rear privacy glass, roof rack. Remote keyless entry, cargo cover, roof rack. Heavy-duty radiator and fan, transmission-oil cooler, trailer wiring. Includes front side airbags. Base includes illuminated visor mirrors. Includes AM/FM/cassette w/in-dash 6-disc CD changer. Requires power sunroof. Base requires alloy wheels, optional radio. Requires rear-seat DVD entertainment system. Base requires Leather Pkg. or steering-wheel radio controls. Std. Base w/3rd-row seat, Limited. Price Note: Hybrid prices and equipment not available at time of publication. Prices are for vehicles distributed by Toyota Motor Sales, U.S.A., Inc. The dealer invoice and destination charge may be higher in areas served by independent distributors. Leather upholstery, 8-way power driver seat, leather-wrapped steering wheel w/radio controls, universal garage-door opener, illuminated visor mirrors, theft-deterrent system. Requires optional radio. 8-way power driver seat, universal garage-door opener, theft-deterrent system. Running boards, rear spoiler, exhaust tip, tow hitch. Power sunroof, JBL AM/FM/cassette w/in-dash 6-disc CD changer. Heated power mirrors, wiper deicer. Requires Leather Pkg., optional radio. Leather upholstery, 8-way power driver seat, leather-wrapped steering wheel w/radio controls (Base), universal garage door opener, illuminated visor mirrors, theft-deterrent system. Requires optional radio. NA Hybrid. 8-way power driver seat, universal garage door opener, illuminated visor mirrors, theft-deterrent system. Std. Hybrid. Running boards, rear spoiler, exhaust tip, tow hitch. NA Hybrid. Power sunroof, JBL AM/FM/cassette w/in-dash 6-disc CD changer. NA Hybrid. Rear privacy glass, mud guards, alloy wheels. NA Hybrid. Heated power mirrors, wiper deicer. NA Hybrid. Power sunroof, AM/FM/cassette w/in-dash 6-disc CD changer, steering wheel radio controls, fog lights, rear spoiler. Heavy-duty radiator and fan, transmission-oil cooler, trailer wiring. Std. Hybrid. Includes front side airbags, rollover deployment. Base, Sport include illuminated visor mirrors. Std. Hybrid. Requires Leather Pkg. NA Base Hybrid. Base requires alloy wheels. NA Hybrid. Base, Sport, Limited require power sunroof. Base requires alloy wheels, optional radio. Base Hybrid requires Package 1. Sport requires optional radio. Base requires Leather Pkg. or steering wheel radio controls. Sport requires Leather Pkg. 3rd-row seat models require rear privacy glass. NA Hybrid. Requires Leather Pkg., optional radio. NA Hybrid. Std. Base/Sport w/3rd-row seat, Limited, Hybrid. Leather upholstery. Base, Sport require 8-way power driver seat, optional radio. NA Hybrid. Leather upholstery, 8-way power driver seat (Base), leather-wrapped steering wheel w/radio controls (Base), universal garage door opener, illuminated visor mirrors, theft-deterrent system. Requires optional radio. NA Hybrid. 8-way power driver seat (Base), universal garage door opener, illuminated visor mirrors, theft-deterrent system. NA Hybrid. 8-way power driver seat, illuminated visor mirrors, theft-deterrent system, rear privacy glass, fog lights, mud guards. NA Hybrid. Power sunroof, JBL AM/FM/cassette w/in-dash 6-disc CD changer, steering wheel radio controls, fog lights, rear spoiler. Power sunroof, universal garage door opener, illuminated visor mirrors, theft-deterrent system, rear privacy glass, fog lights (Base), rear spoiler, mud guards (Base), alloy wheels (Base). NA Hybrid. Leather upholstery, power sunroof, JBL AM/FM/cassette w/in-dash 6-disc CD changer. Heavy-duty radiator and fan, transmission-oil cooler, trailer wiring. NA Hybrid. Limited requires JBL AM/FM/cassette w/in-dash 6-disc CD changer. Requires Leather Pkg. NA Hybrid. Base, Sport, Limited require power sunroof. Base, Sport require optional radio. Base requires alloy wheels. Base requires Leather Pkg. LP or steering wheel radio controls, rear privacy glass. NA Hybrid. Base requires Leather Pkg. LP or steering wheel radio controls. Base/Sport without 3rd-row seat require rear privacy glass. NA Base Hybrid. Std. Limited Hybrid. Requires optional radio. NA Hybrid. Std. Base/Sport w/3rd-row seat, Limited, Base Hybrid.